Dan Gordon is one of the co-founders of Gordon Biersch brewery in San Jose, California. You’ve likely visited one of their restaurants or brewpubs; there’s even a brewery here in Las Vegas, along with an attached restaurant, and a second standalone restaurant. 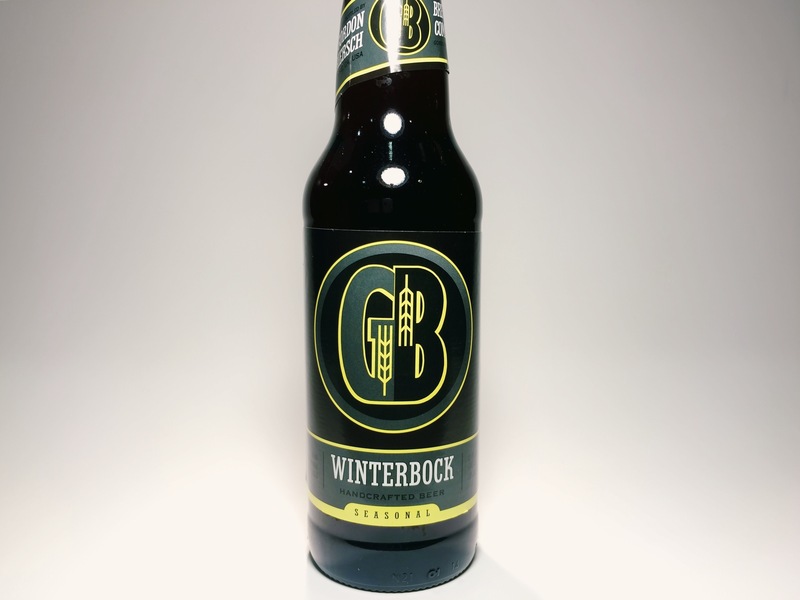 With winter upon us (well, not quite there yet in Vegas; the high is 70º F today), Gordon Biersch has released their winter seasonal, aptly named Winterbock. Lagers in general are under appreciated in the craft beer market here in the US, and of those, bocks are especially so. Bocks of all varieties are some of my favorite lager beers, with special recognition going to doppelbocks. Gordon Biersch’s Winterbock is no exception. The beer has a strong, toasty malt aroma and has the classic, clean lager fermentation profile. The flavor in this beer all comes from the use of dark malts; imparting flavors of plum and raisins, but finishing with a clean, dry finish. The aftertaste has a bit of a warm, alcohol sensation, making this perfect for a cold winter’s night. What The Hell Is An Oktoberfest/ Vienna/ Märzen/ Festbier/ Dortmund Beer? 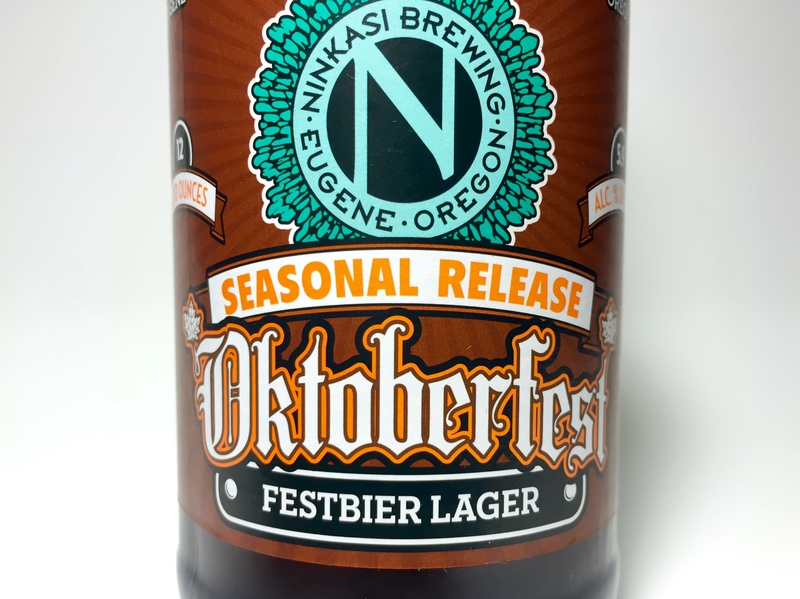 Aside from the pumpkin beers, fall is typically characterized by Oktoberfest style beers. But does anyone really know what an Oktoberfest beer is? How is this style of beer any different from festbier, Märzen, or the classic Vienna lager? Here in America, we do not have the rich history of lager style beers that Europe, and in particular Germany, has. Oftentimes, we Americans tend to lump most lager styles together, so I thought that in honor of Oktoberfest, I would explore the history of this style. Prior to the mid 1800’s, beer in Germany primarily consisted of dark styles, like dunkels and bocks. This changed in the early 1800’s when Gabriel Sedlmayr, whose family owned the Spaten brewery, took a trip around Europe to learn other styles of beer production. When Sedlmayr saw that England was using coke to dry malt, allowing the malted barley to be a paler color, he brought this technique back to Germany and shared the idea of using these types of malt to make German style beers. Lagers tend to not get the same amount of respect within the craft beer community that ales do. The name alone tends to bring up connotations of industrially brewed “fizzy yellow beer,” despite there being about 20 different styles of lagers to choose from. This likely stems from the fact that most craft breweries start out focusing on ales, likely because they are cheaper to make. Lagers not only require a lower fermentation temperature, they also require a much longer aging process, tying up fermentors that could’ve turned over a couple batches of ale. While there are several craft brewers in America that are known for their lagers, they tend to focus on making traditional examples of the styles. 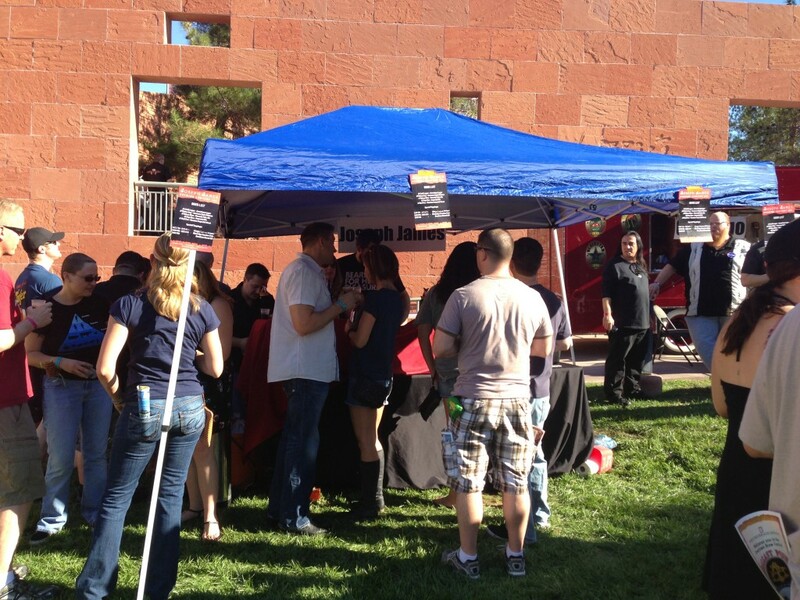 On October 20th, Motley Brews presented the follow-up to their 2012 Great Las Vegas Festival of Beer: The Las Vegas Downtown Brew Festival. After having a blast at the last Motley Brews presented festival, I was more than excited for this one. To start with, the location and timing of this event could not have been more perfect! 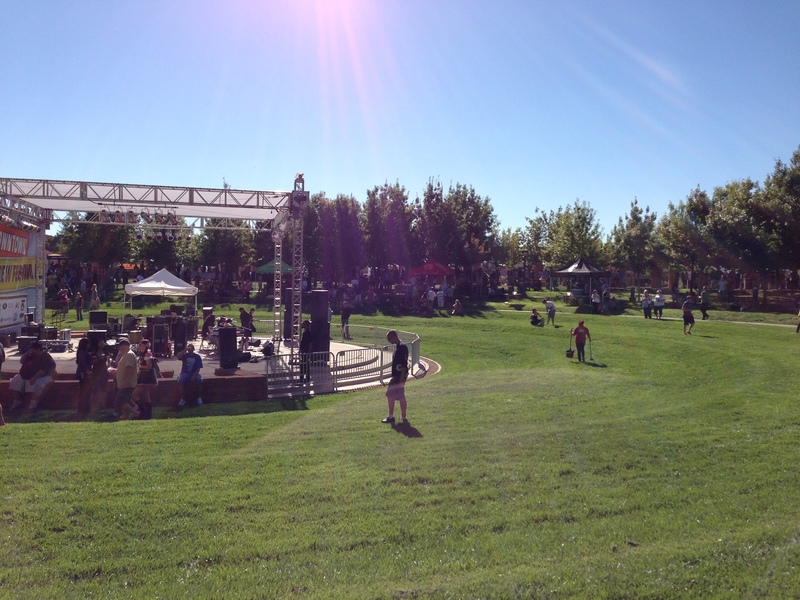 The Clark County Amphitheater is a nice, large, outdoor venue, and the great October Vegas weather made for a phenomenal marriage! For their first outing in 2011, I had complained that the event seemed disorganized, and way too compact. These problems were pretty much resolved on their second go around. This time, I can only tip my hat to the organizers and sponsors of this fantastic festival! We arrived a bit late (roughly 2:15 PM), but had no trouble finding parking in the large adjacent parking lot. Upon walking up to the entrance, we were quickly able to redeem our Groupons, and were inside and ready to drink within just a few minutes. Upon entering, we made our way right to the Joseph James tent to try and wet our palettes with their R/D #11 Ginger Lemon Weizen. Thankfully, and remorsefully, we were able to get our hands on the very last drops, which may have proven to be the best beer I had the pleasure of experiencing. The beer tasted like a mix of spicy ginger ale with a refreshing lemon twist. I really hope this one sees a bottle release, as I want everyone to be able to taste this amazing local brew! Their other two R/D offerings did not disappoint either; both the Black Rye Session Pale and the Bourbon-Barrel Aged Russian Imperial Stout were quite the tasty offerings! Joseph James never ceases to amaze me when it comes to what they pull off for these special events. I will continue to look forward to more R/D batches, while still sipping on their great year-round fermented offerings. 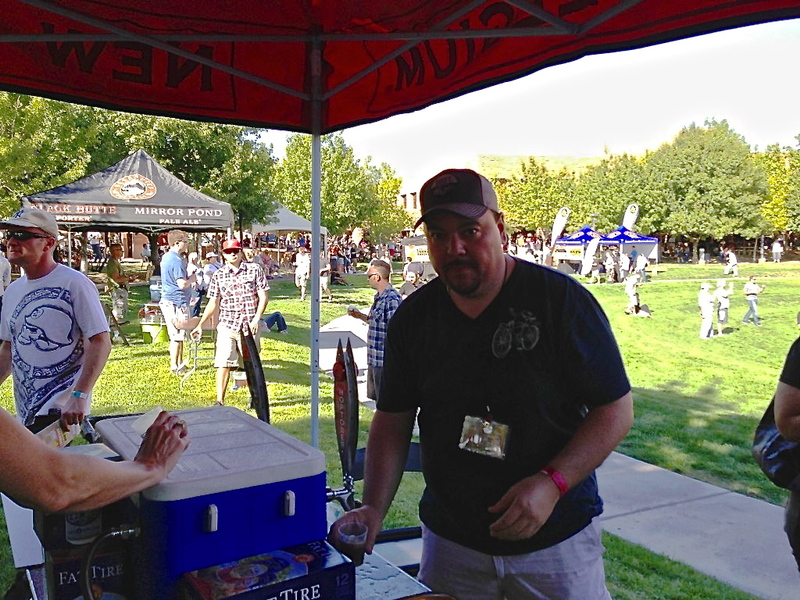 Our next stop was to the New Belgium tent to get a pour of their refreshing Shift Lager. Shift really is a perfect summertime beer with its light-body, and flavorfully crisp finish. While chatting with Las Vegas’ new Beer Ranger, Karl Herrera, he officially coined the term “Get Shift-faced!” which pretty much demands to be on the front of a T-shirt! New Belgium was also pouring their Red Hoptober, Ranger IPA, and of course, Fat Tire. 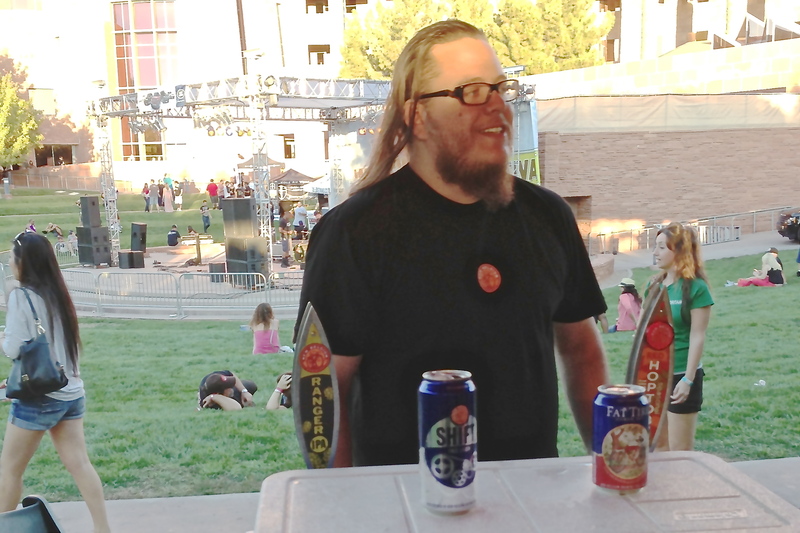 Their Super IPA was also on display at the Get Hopped Up Tent, along with Stone 16th Anniversary IPA and Bear Republic’s Racer 5. From there we hit another local favorite in Tenaya Creek. They were happily pouring their new Dutch-style Belgium Tripel, Oktoberfest Lager, the recently bottled Hauling Oats Oatmeal Stout, and their iconic Hop Ride. 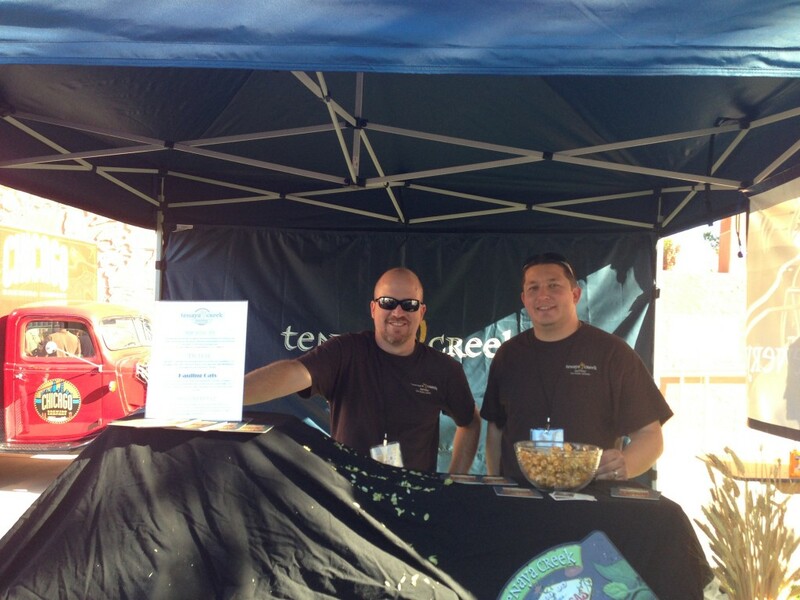 Not to mention, they also decided to unveil a Hop Ride infused popcorn! Being a Las Vegas staple for years, you really can’t go wrong with anything that Anthony and Tim brew up. Their year round beers are top-notch, and their seasonal brews always leave you looking forward to the next one! If you haven’t been to the brewery yet, you should make it a point to do so. Hell, there’s a good chance you’ll see your’s truly at the bar sipping on a Hop Ride! Another local staple, Big Dog’s Brewing Company was pouring just nearby. 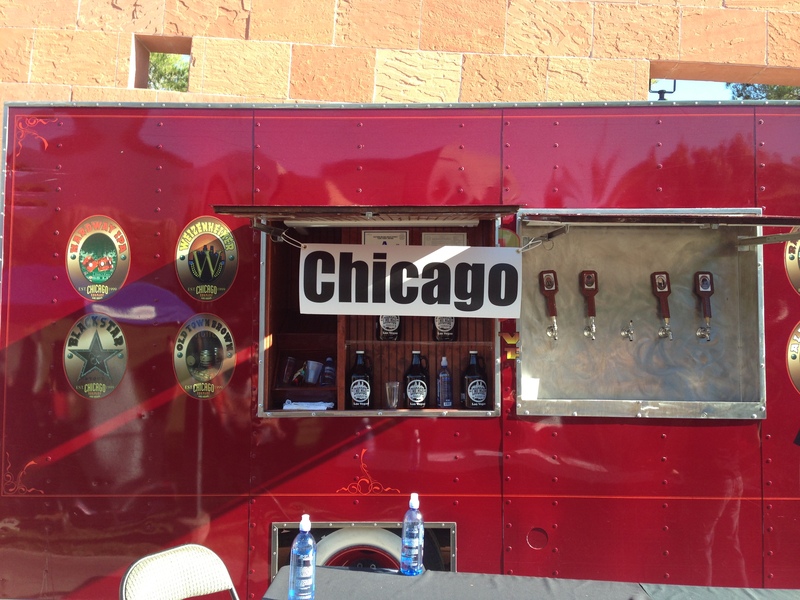 Their selections included Dirty Dog IPA, Las Vegas Lager, Lake Mead Monster Double Red Ale, and the Great American Beer Festival 2012 Silver Medal winning Red Hydrant Ale! 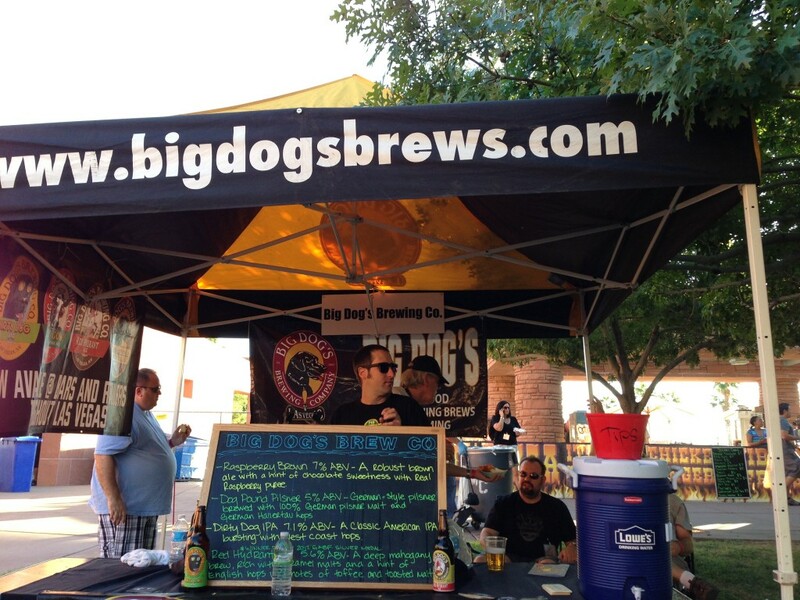 Big Dog’s is another local brewery that you just can’t go wrong with! While I would have loved to have seen the seasonal Pumpkin Ale, or the monster that is War Dog IPA, I was more than pleased with what they had to offer! With 2 locations in the Valley, there is no reason not to stop by and grab a drink! After making our rounds with the local breweries and New Belgium, we decided to hit the outside circle and try and get our hands on some beers we haven’t had before. Our next stops were to Tommyknocker’s and Moa. Tommyknockers, from Colorado, is fairly new to the Las Vegas craft brew scene. They had with them a nice assortment, including Vienna Amber Lager, Maple Nut Brown, Imperial Nut Brown, and a nice, mild, Pumpkin Ale. All of their offerings were solid, and can be found locally at this time. Moa, from New Zealand, is a brewery that I have yet to try, but I’ve always been curious about. They had samplings of their Breakfast, Pale Ale, and Blanc Evolution. I only tasted the first two, but I was quite fond of both! As a nice contrast to most breakfast inspired stouts, Moa’s Breakfast had a bright, wheat, sweet cherry flavor that would pair nicely with a berry muffin or eggs. While it won’t be for everyone, I think it would be a nice substitute for a mimosa at brunch. The Pale Ale had a subtle citrusy hop nose and flavor, which was balanced by a bitter malt aftertaste. To be honest, I had not heard much about Riley’s until this event. Riley’s is a smaller brewery from Madera, CA, who are in roughly their fifth year of existence. Their lineup consisted of: Sancha, which reminded me of a cross between a pale ale and a honey ale; Vixen: a coffee/chocolate inspired stout; and Wildcat IPA. 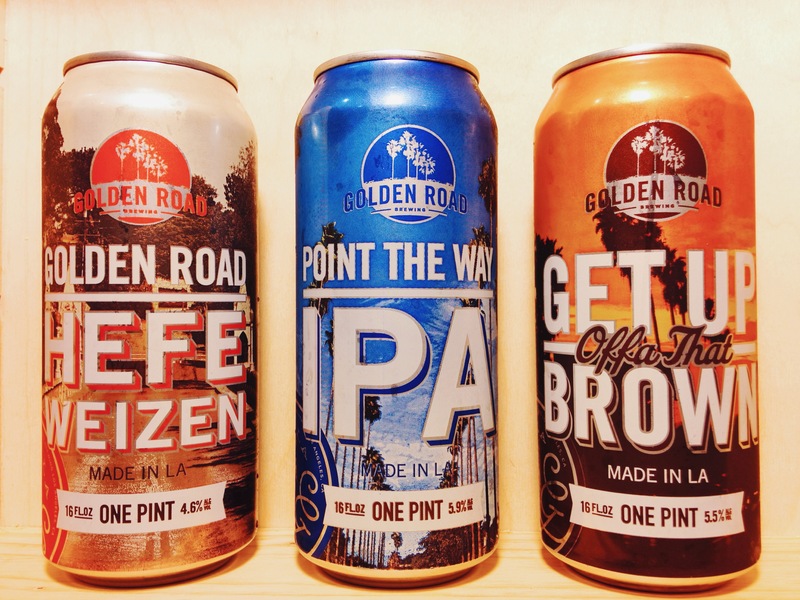 All three were quite tasty brews, and show a lot of promise for this new brewery. I’ll be looking forward to what they decide too cook up next! If there is one beer trend that I really enjoy, it’s the new “Session IPA/Pale Ale” trend. Something just appeals to me about a low ABV, flavorful IPA that won’t make you feel all nice and fuzzy after just one glass. Thankfully, one of our last stops, Ballast Point, brought along a beer that is a perfect pale ale for this occasion. Their Even Keel Pale Ale, was just fantastic, and perfect for this mild October day. It had a perfect pine aroma, with just enough citrus to hit your nose. The taste was quite the same, with a great dry finish that didn’t linger for too long. Not be outdone, they also brought along an arsenal of their other lovingly-crafted brews: Big Eye IPA, Calico Amber, Pale Ale, and the incomparable Sculpin IPA. I can’t finish this without giving a shout-out to all of the food vendors that made it out to quench the hunger of the beer sipping crowd. 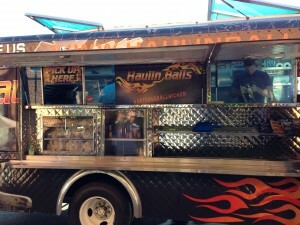 From restaurant representatives to food trucks, there was something for everyone. Our eatery of choice ended up being Haulin’ Balls, who serve a variety of gourmet sandwiches based around, you guessed it, the meatball. The food was nothing short of remarkable, and I would recommend that any carnivore seek them out. All in all, this may have been the most pleasant beer festival that I’ve had the opportunity to attend. A big thanks is in order to all the vendors, sponsors, and especially Southern Wine and Spirits of Nevada for all the phenomenal brands that they helped bring together! As a group, we’d also like to thank any of our followers that found us and said hello. It’s always great to meet you guys in person, and we appreciate all of the kind words and constructive feedback that we receive. In closing, if you have not had an opportunity to attend one of these festivals, then you are missing out! Do yourself a favor and make sure that you clear your calendar off and come out and have a blast! …I’m sure you’ll see us there! If you’ve been following us on Twitter, you’ve probably heard me say quite a few times, “perfect beer for summer!” I’m starting to lose track of all these summer beers I’m recommending, so I thought I’d try and compile them all for you here. Feel free to chime in with your favorite summer beers. New Belgium Tart Lychee – Definitely one of my new favorite beers. I fully admit that I don’t exactly know what lychee tastes like, but the fruitiness in this beer reminds me of cranberry, grape, and a little bit of pear. The sweet fruitiness in the beer gives a little bit of a crisp, tart edge upfront, making it taste a little like a flavored lemonade. Just the right amount of cinnamon is added as well giving a lightly spicy finish. Surprisingly, this is 8.5% alcohol, but the dry body and slightly sweet, slightly sour taste hides it well. 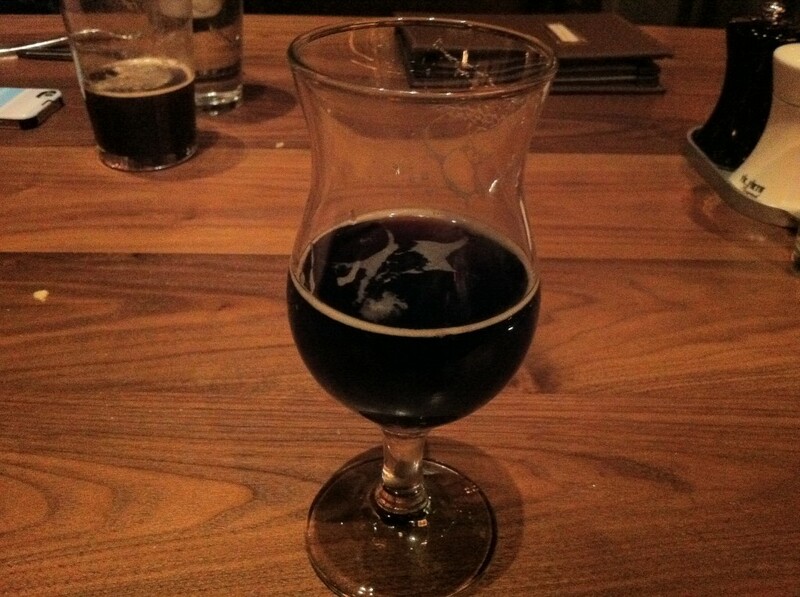 Maui Brewing Sobrehumano Palena ‘ole – This is a collaboration beer made with Jolly Pumpkin. 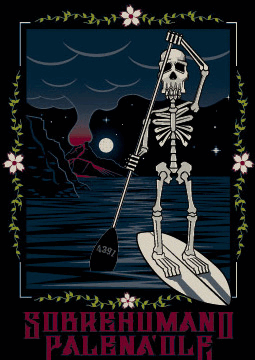 The current version that is available is Maui’s version. This is a red ale made with liliko’i (some Hawaiian fruit) and cherries. 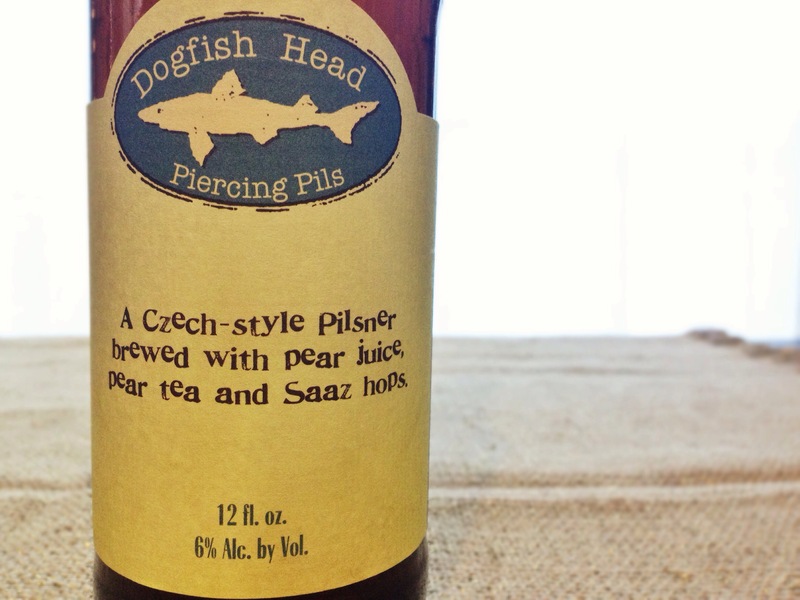 The fruit gives this beer a nice tart flavor, but not as tart as New Belgium’s Tart Lychee. Again the light, crisp body and subtle fruitiness make this a very refreshing beer. Stone Smoked Porter W/ Chipotle Peppers/Vanilla Bean – Stone has just released these two variations of their popular Smoked Porter. One is similar to an ice cream beer float, the other is similar to a Mexican molé sauce. However, hese smokey, delicious bastards are not available in Nevada. 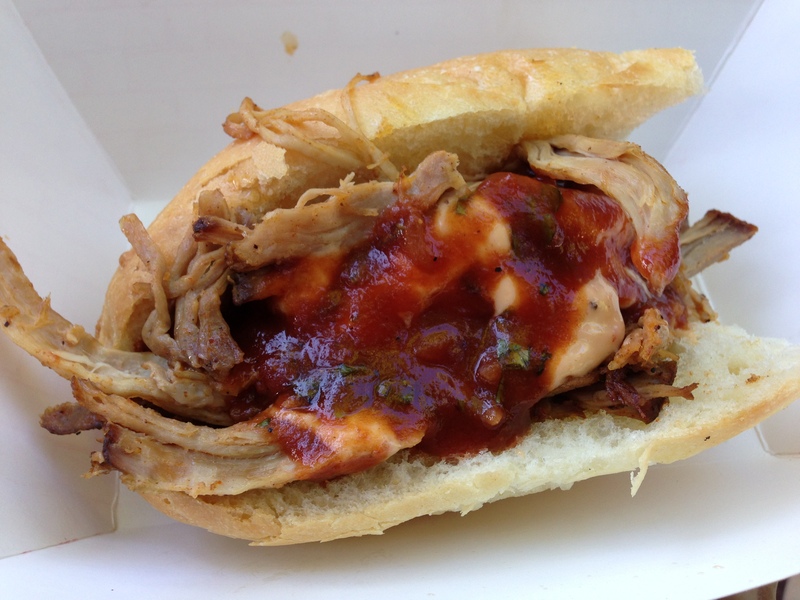 If you’ve ever had one of these at a beer festival, then you know that it is worth the trip to Southern California. New Belgium Shift – This is basically the perfect “anytime” beer. It’s in a can, so you can safely take it anywhere. Perfect replacement for a cheap, light lager. This is a dry, crisp lager with a nice cracker like malt character and it is firmly hopped for a nice bitter edge. The light body and alcohol content makes this ideal for drinking outside when it’s over 100 degrees. Uinta Baba Black Lager – All the benefits of a lager: light body, dry, and crisp; with all the benefits of a dark beer: roasty, malt flavor and goes great with the dark, charred bits of barbecued food. 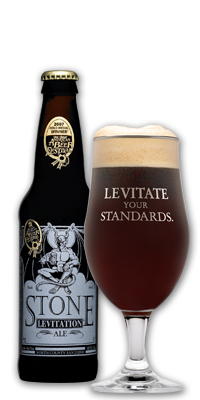 Stone Levitation – This is a low alcohol, session ale. The 4.4% alcohol content is similar to a Coors Light, but the difference being that this beer has a healthy dose of hops and colorful malt bill, giving this beer the same refreshing, light body of a light lager, but with a surprisingly complex flavor. *All photos came from the respective breweries’ websites. 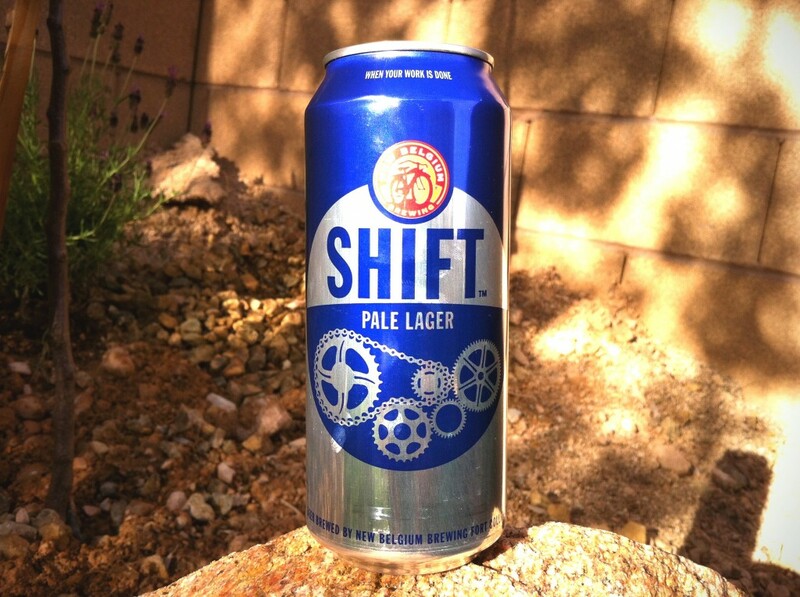 A couple of weeks ago, New Belgium released their newest beer, Shift Pale Lager. Shift Pale Lager tastes like a pale ale would if you fermented it with a lager yeast. The beer is super dry and crisp like a lager, but with more hops than any lager I’ve ever had. The hop presence is primarily very floral, it smells, and tastes, like fresh cut grass. It would definitely pair well with lawn mowing. It has a dry, cracker-like malt flavor with a nice bit of hop bitterness in the finish that lingers a around for a while. This is a very refreshing beer. Definitely perfect for the hot, sunny days here in Vegas. New Belgium will be providing Shift Pale Lager year round, much like Fat Tire, Ranger IPA, 1554, and others. However, while those beers are available on draft, bottles, and cans (in the case of Fat Tire and Ranger IPA), Shift, on the other hand, will only be available in 16 oz cans. No bottles, no draft, only cans. But why cans? New Belgium is really pushing the idea of Shift being THE beer to reach for after your work shift (get it?). All the advertising and marketing depicts this being a beer that is enjoyed while working on the car, sitting by the pool, out at the park, basically the kinds of things people do to unwind. To that end, it is only available in cans simply because it is the cheapest way to make the beer as accessible as possible for every possible scenario. What I mean by that is, you can take a can anywhere! Usually public pools, parks, beaches, etc, do not allow glass. By only allowing consumers to purchase this in a can, they are allowing those who purchase it the freedom to take it anywhere they want to enjoy a beer. It seems these days that most of the breweries jumping on the can bandwagon tout how eco-friendly cans are compared to glass, since they weigh less and are supposedly more recyclable. The week of Shift’s official launch, another well known brewery was tweeting out all the different ways that mining for bauxite, and the process to convert it into aluminum, is very harmful to the planet, and has caused toxic damages to the countries where it is mined. New Belgium went ahead and gave an honest answer to the sustainability of cans here. What they wrote matches my own personal research: There has been no comprehensive, UN-BIASED study comparing cans vs glass, and which is more sustainable. The fact is, can’s harmful mining requirements probably equal out to the increased fuel consumption that glass requires. Basically, it’s a wash. Neither are truly sustainable. If you care about sustainability, the only way to make either one more sustainable, is to recycle. 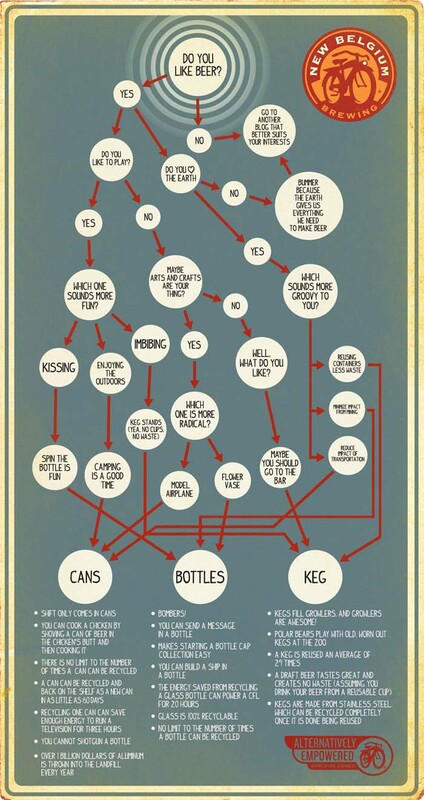 The main point here though is that Shift is a great beer and is the perfect solution to nearly every occasion. Canning this beer was a smart move in that it is a very accessible beer for nearly every environment. Is it better for the environment than glass? Who knows, but at least you can bring it to the pool, or take it hiking. Because let’s be honest, that’s all we really want, right? Best part: Do you like beer? No? Go to another blog that better suits your interests! More info on the brand new Shift Lager that was just released today here. The above image greets you when you visit Public House’s website. There are billboards in town with a business suit dressed chimpanzee holding an American flag. While the concept of a gastropub is traditionally English, Public House is quintessentially American. The interior resembles a library. Dark wood covers the floors with bookshelves holding various old books, ornaments and antiques. The decorations typically have an American theme. Pen drawings of American Flags or founding fathers are displayed. Where to start? 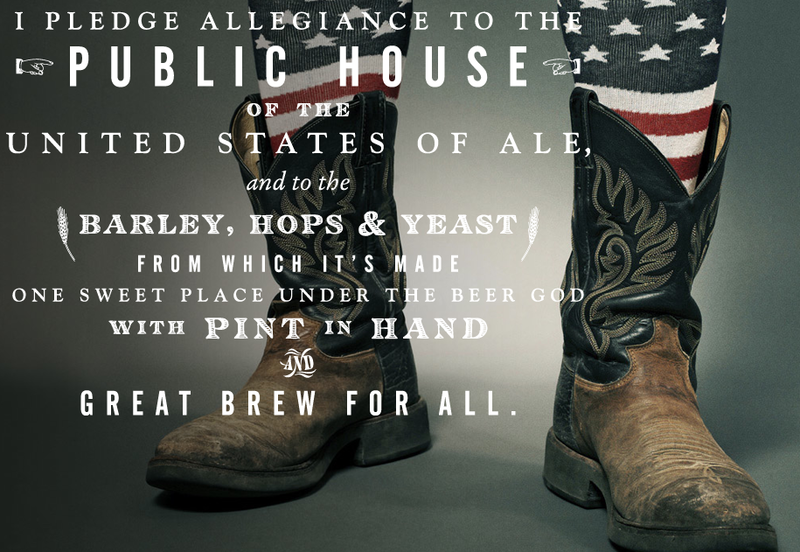 Public House is home to the only Certified Cicerone in the state of Nevada, and as such, has an impressive beer list. There are roughly 200 beers to choose from, primarily in bottles, ranging from German lagers to Belgian abbey ales, and from French farmhouse ales to American IPAs and even a few sours and barrel aged beers. They also regularly keep a beer available on cask. During my visit the cask beer was Deschutes Black Butte Porter. The cask version gave this beer a very soft and smooth texture. It retained it’s dark chocolatey taste while feeling very light texture-wise. I also tasted Stillwater’s Existent, a dark farmhouse ale. A lot of plum aromas paired with grape flavors. Despite the dark, fruity flavors, the beer was still refreshingly light. 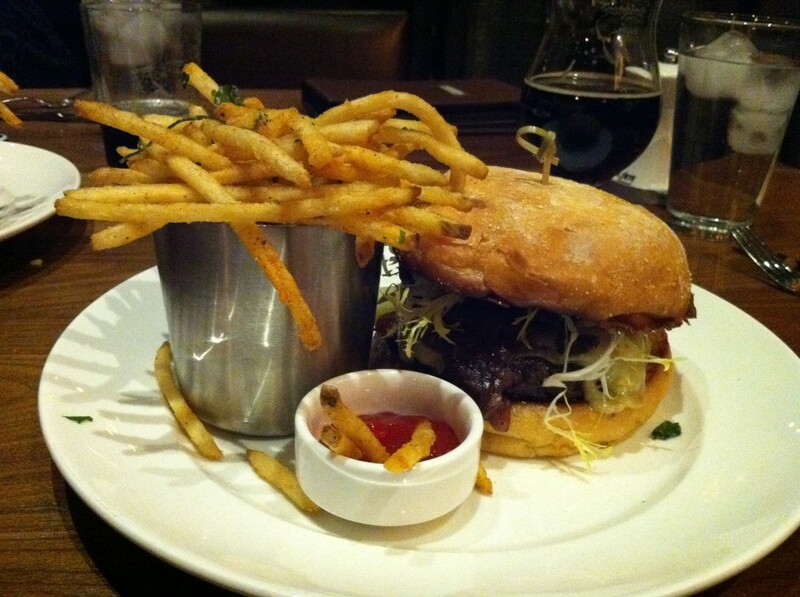 Both beers paired perfectly with the hearty, rich food that Public House has to offer. 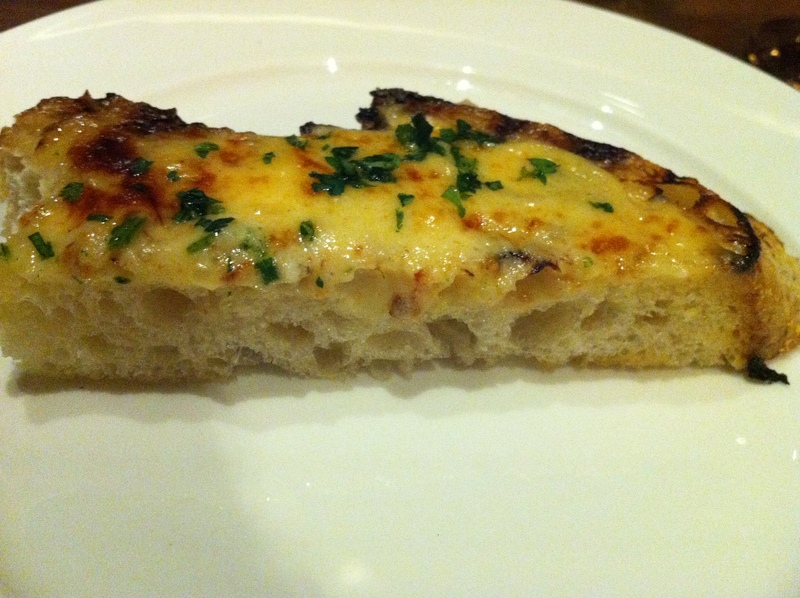 Appetizer was the Welsh Rarebit. “Cheddar-Beer Sauce on Toast” as the menu described. The cheese sauce tasted like it was comprised of a dark malty beer with a little mustard, possibly even Worcestershire sauce? The bread was perfectly crusty to contrast the creamy cheese sauce on top. I opted to try the Pub Burger for the main course. Maybe it was the bacon marmalade, the Guinness aioli, or the gruyére cheese, but this was one of the best burgers I’ve had in Las Vegas. The grass-fed beef was juicy and the toppings complimented it with rich cheese and sweet bacon. Despite the flavorful ingredients, the burger was perfectly balanced with no one aspect dominating the others. This is a difficult burger to eat in one sitting, but it’s even more difficult to stop eating it! Other items on the menu include fried quail served with waffles, roasted bone marrow served with bacon, and various steaks, and shellfish. There is also grilled octopus, duck confit, and a foie gras parfait. Public House is located in the Venetian resort on the strip. They use the best quality ingredients and have a renowned chef. As such, the prices reflect this. The quality of food definitely matches the price and this restaurant is worth every penny. That said, the beer prices are also higher than most places in Las Vegas. Bottles start at $7 for 12oz and drafts start at $8. You are likely to end up paying about $10 a beer if you want to drink the less common stuff. Yes, the beers are priced high, but you are likely not going to find most of these beers anywhere else in town. Even still, this place is completely worth it for the food alone.